In a major new twist, scientists at NASA say something has happened with the Juno spacecraft as it orbits Jupiter. NASA has just reported a significant new development as the Juno spacecraft orbits Jupiter, the largest planet in our solar system, and unfortunately it’s not good news: the agency won’t be able to conduct a planned engine burn, meaning scientists will not be able to get it into the close orbit they were hoping for. That means that Juno is stuck in its elliptical orbit, taking 53 days to circle Jupiter instead of just 14. NASA had planned to conduct the engine burn in October, sending Juno incredibly close to the gas giant and enabling a much closer look at it. But scientists discovered a problem with two helium valves on the spacecraft, forcing a postponement. And after four months of extensive analysis of multiple scenarios, scientists just don’t think it’s worth the risk to fire the engines, knowing that it could jeopardize the science objectives of Juno, or even cause the spacecraft to be destroyed. Instead Juno, which was launched in 2011, will have to stay in its current orbit. It’s a disappointing development for sure, but NASA will still be able to accomplish their main objectives in its current state. 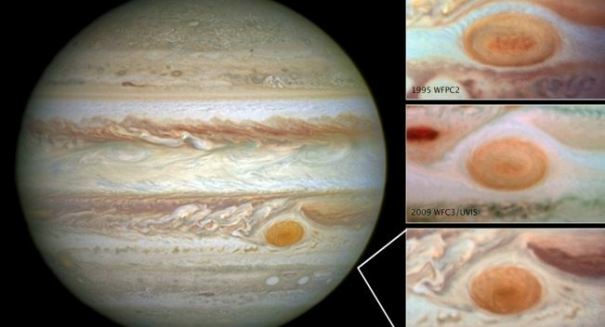 The spacecraft will continue to do an in-depth study of Jupiter and uncover its secrets, from its magnetic and gravitational fields to the structure hidden deep below its gaseous surface.